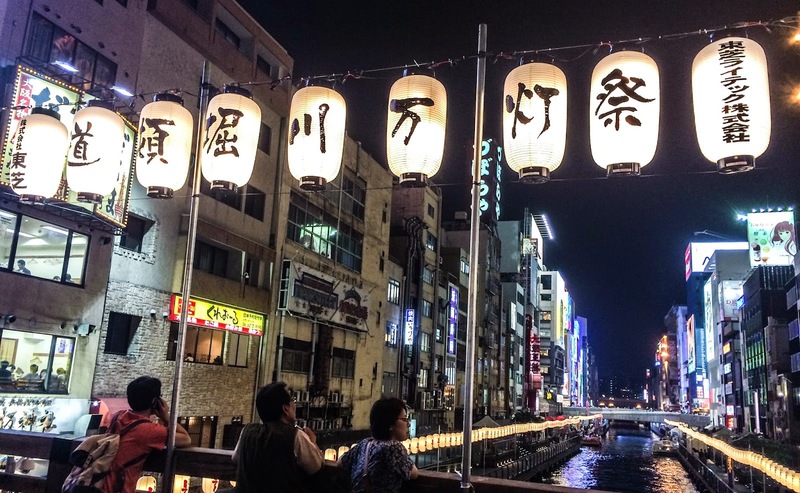 I’ve always been really fond of Japan since I was little, mainly because of influence from my grandparents on my mother’s side. I grew up watching Ghibli studio and had many Totoro dolls all over my room. This is my 3rd trip in Japan after Tokyo in 2009 and Hokkaido in 2013. This time I’m going to the Kansai area, around Osaka, Kyoto, Kobe, and Nara. This time I flew with the new budget airline – Peach Air (The full review on the airline will be up soon). 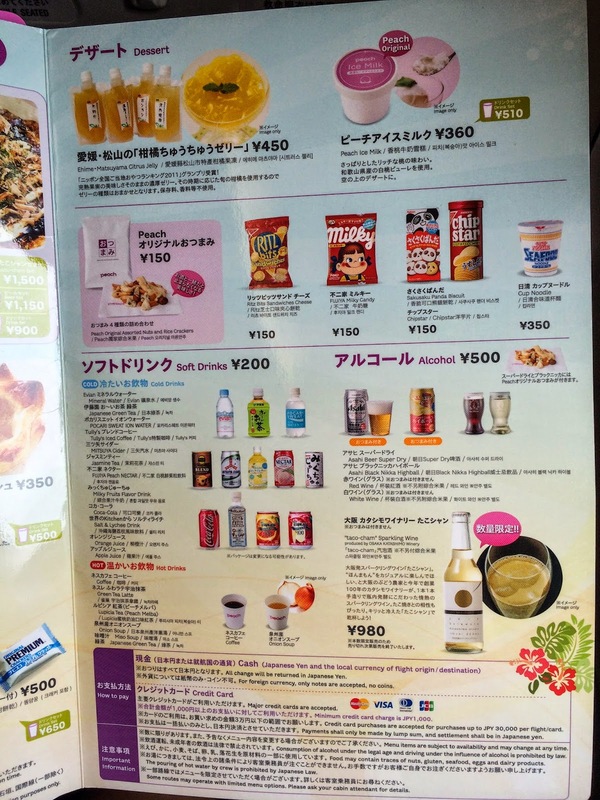 They serve Japanese food inflight! But has to be purchased separately. 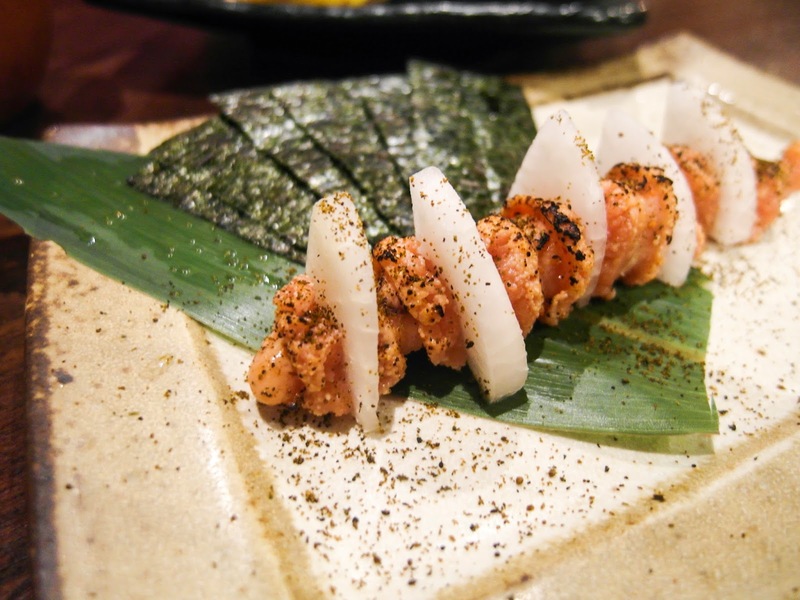 There’s Takoyaki, Okonomiyaki, and they even serve Asahi! We arrived late afternoon and got out of customs really quickly. The staff at Kansai Airport was really nice! There was this old man who was taking care of the line for immigrations. He was chatting with us, asking how the flight was, and telling us to enjoy our trip in Osaka! Already I can feel the friendliness and politeness of Japanese people, this trip will be a very pleasant journey. We had to take a shuttle bus from Terminal 2 to Terminal 1, and then take the Airport Express from there. 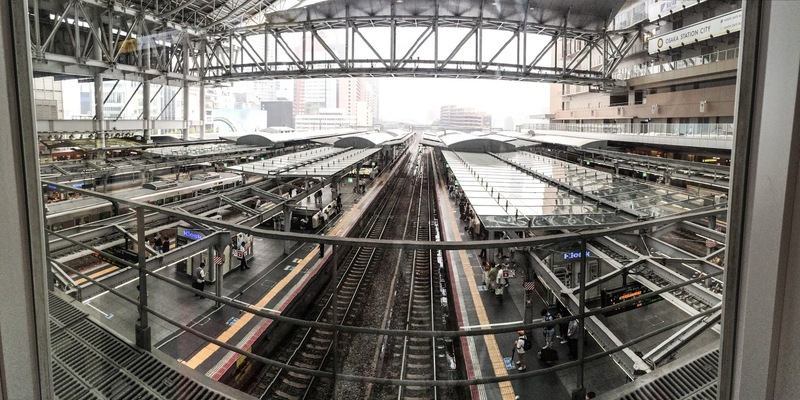 The train between the Airport and Namba 難波 Station runs in 3 different lines: local (which will take forever), Airport Express ¥900 (12 stops, around 45min), and the Rapid ¥ 1,400(Alpha/Beta, Alfa has 6 stops, Beta has 8 stops, takes 30 min). 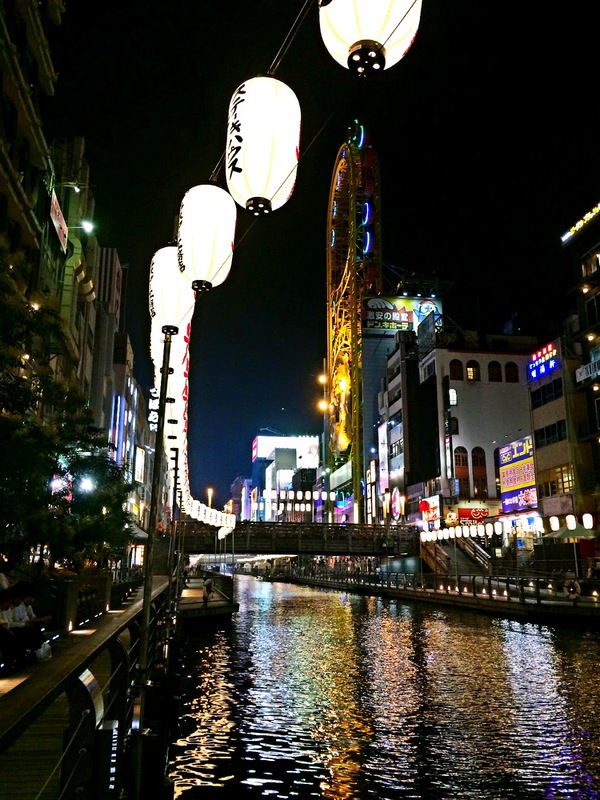 After we checked in, we headed to Nipponbashi 日本橋 station to walk around the Dotonbori 道頓堀 area. 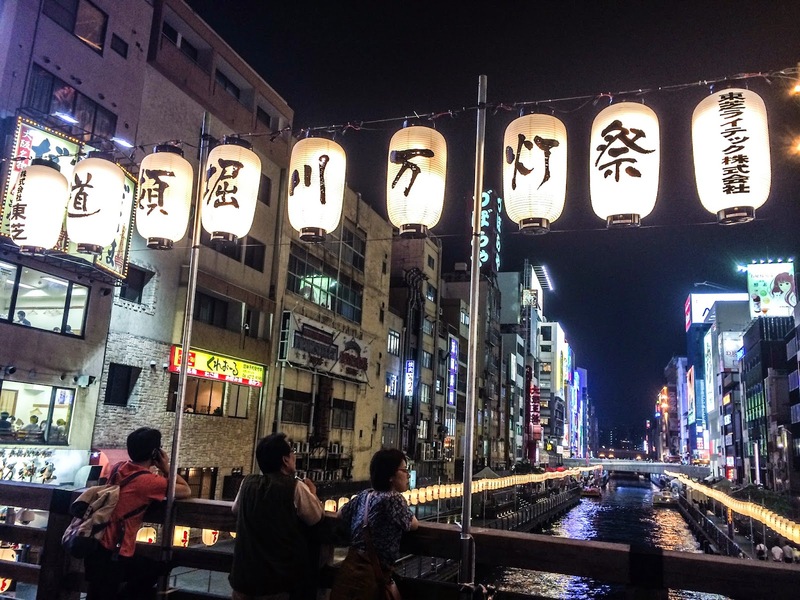 That’s the famous river that runs through Osaka City, and during the summer there is a lantern festival. At night it’s super pretty! On the riverside it’s relaxing and quiet. There are also boat tours along the river. 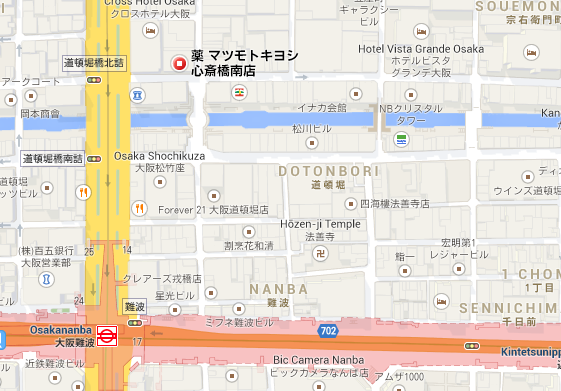 If you walk from Nipponbashi 日本橋 to Namba 難波 station (East to West direction), you will run into Don Qijote on the right hand side. It’s a 24hr store that sells discount items from cosmetics, snacks, to clothes and electronic accessories. You can find almost everything there! 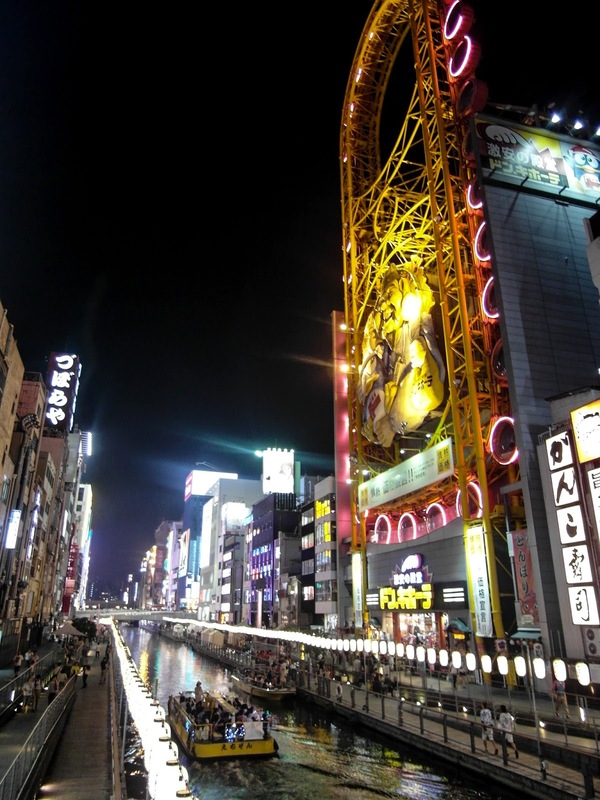 It’s famous for it’s vertical ferris wheel, but I never saw it running while I was there. One road to the right of the river seemed like a more “adult” area. There were lots of cafes and bars with guys and girls standing outside trying to get you in. It’s nothing illegal; they just drink with you and talk to you. 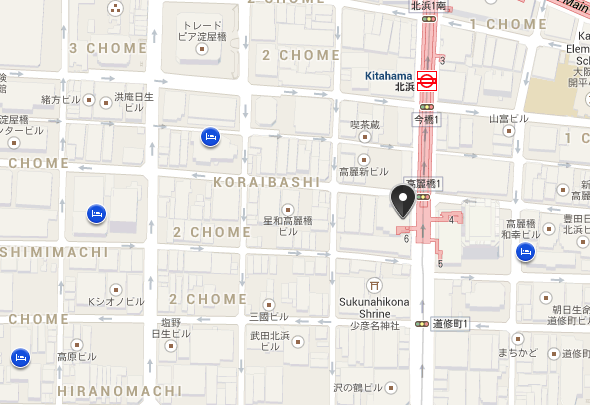 But there’s not much other than those cafes on that street. One road left to the river (walking towards west) is where all the food is. 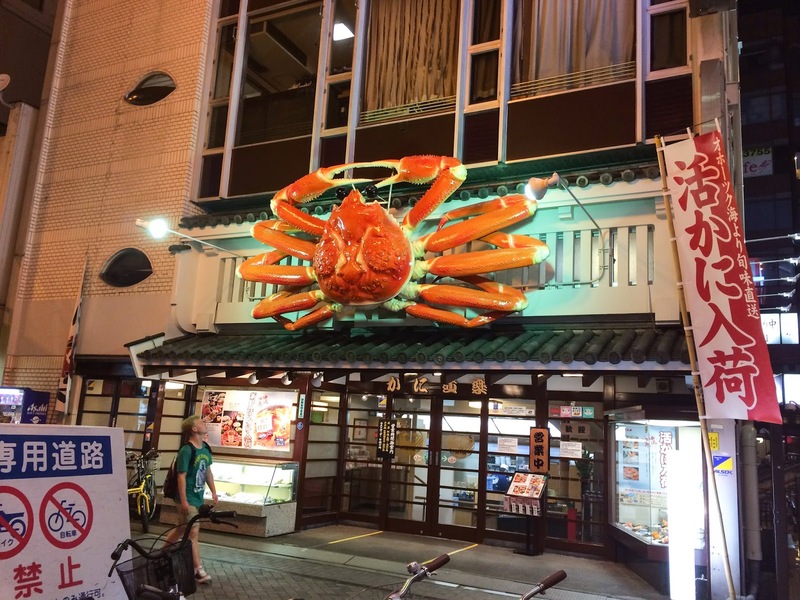 There is that famous crab restaurant Kani Douraku かに道楽. 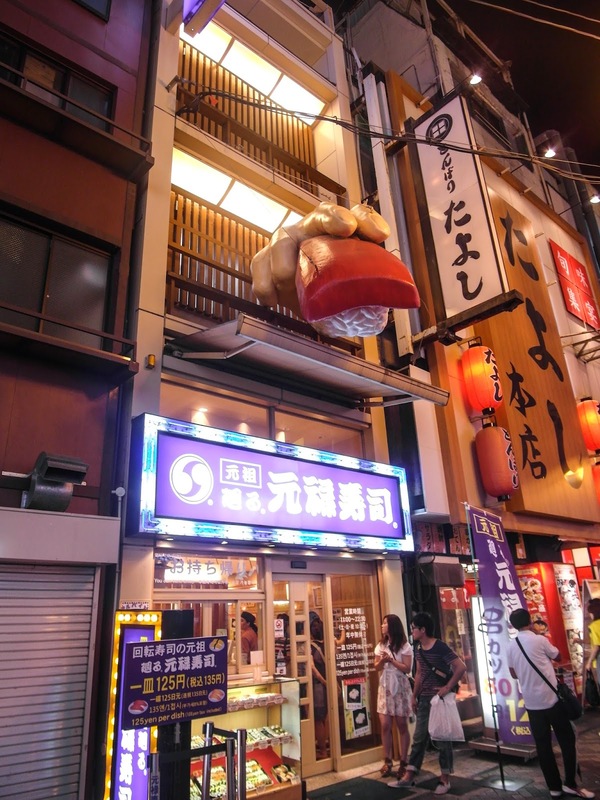 You can also see lots of restaurant signs that are 3D and poking out, which is what Osaka is famous for! 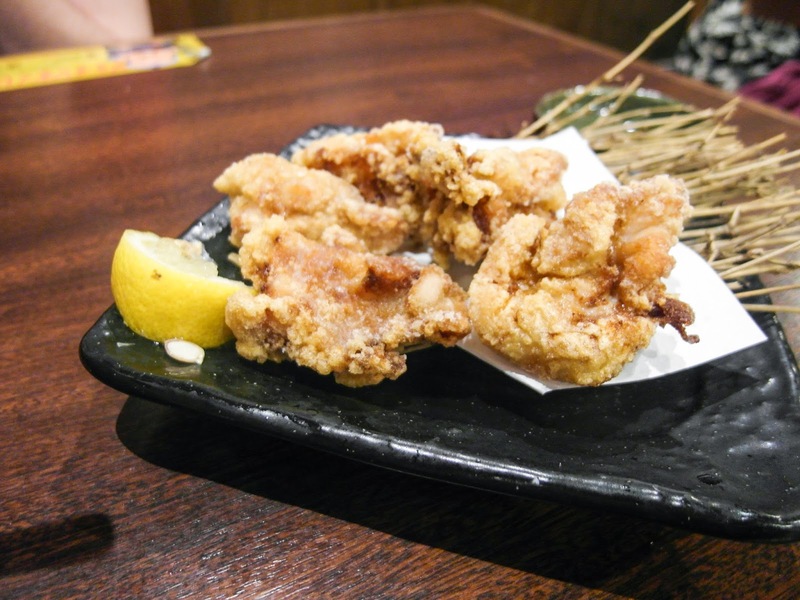 I saw a large hand holding onto a piece of sushi, a giant octopus, and also a puffer fish. 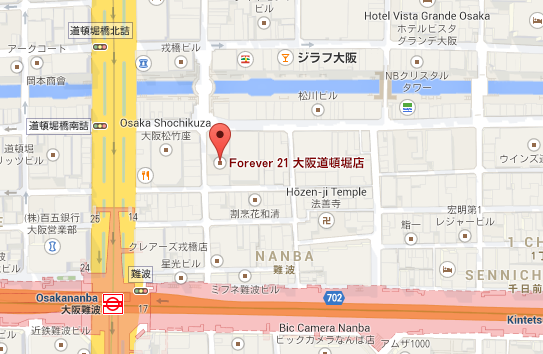 We ate at a Japanese grill place that’s across from the big Forever 21 store. I’ll introduce that later in this blog post, since we had it on the second day as well. 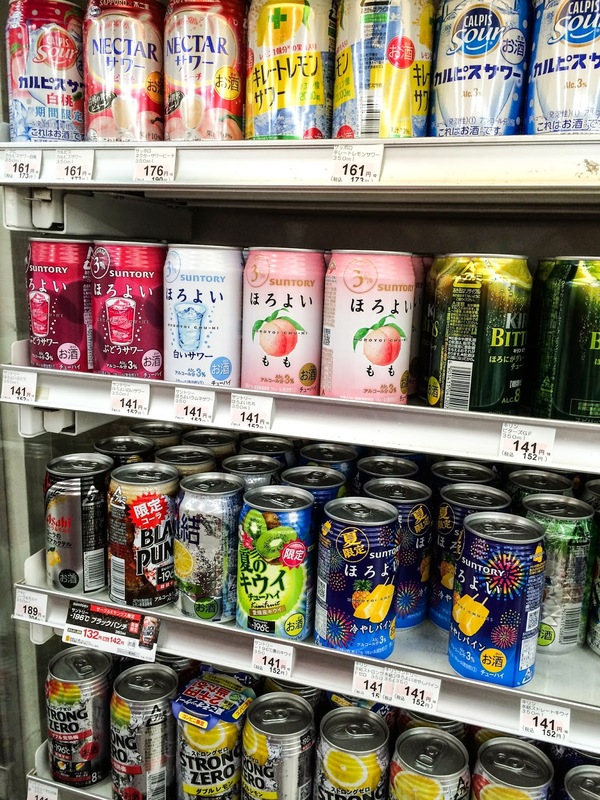 One thing I found is that Suntory makes a lot of alcohol beverages. 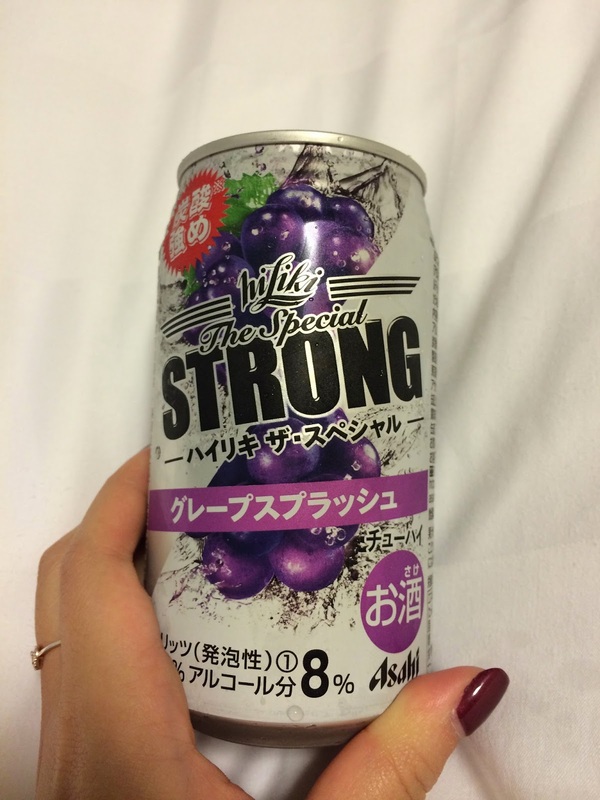 It looks like a normal juice flavored fizzy drink (peach juice/grape juice) but it’s actually 3% - 8% alcohol! 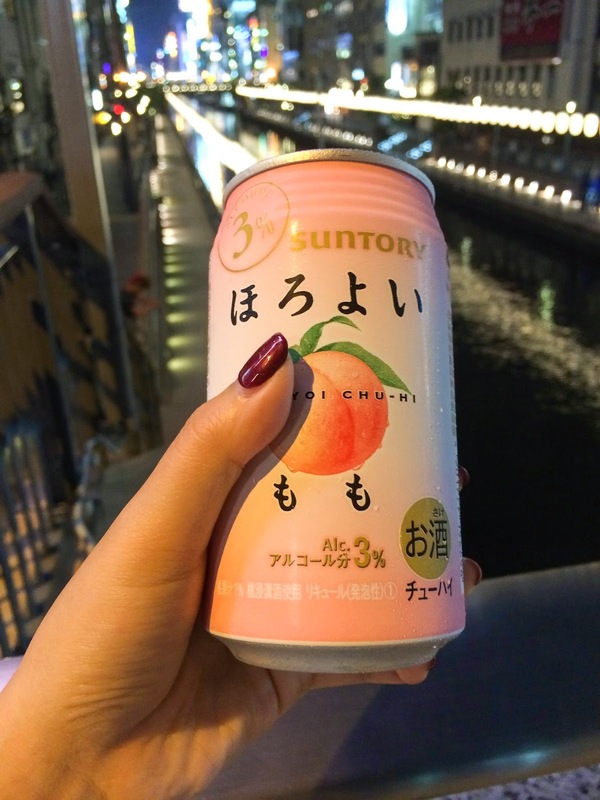 This peach drink is something I drank every single day if I could get my hands on one. It was rainy today so we couldn’t stick to the places we wanted to go to, so it turned into a day at Umeda 梅田, full of shopping and arcade gaming. Since we will be here for a while and we plan to go to Tokyo in a few months as well, purchasing a subway card makes more sense. 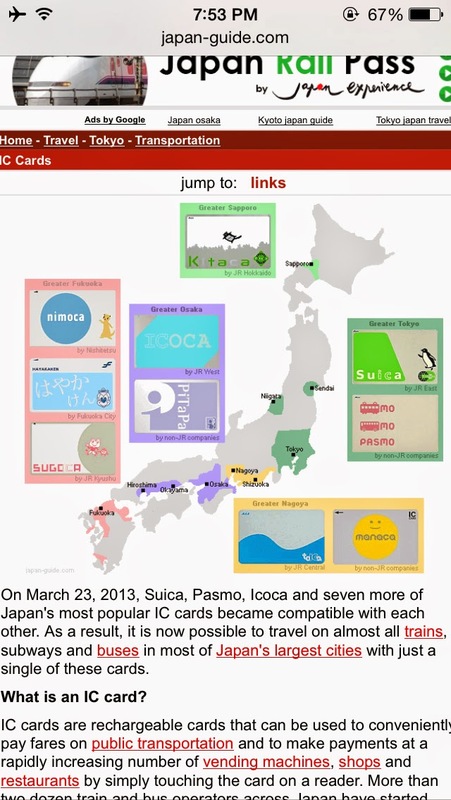 The Icoca card is the main card used in the Osaka area. It’s ¥2,000 for the first purchase, and comes with ¥1,500 credit and ¥500 is the deposit. 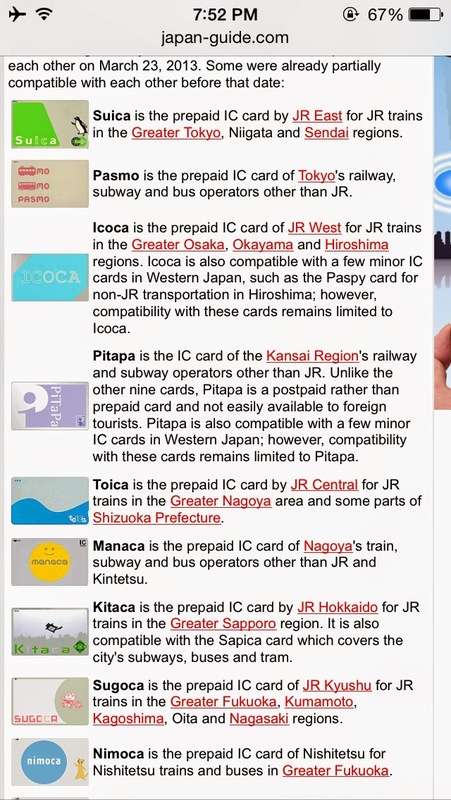 You can use it for the JR (Japanese rail), subway, and all buses around Japan. You can also use it in certain convenience stores and on vending machines. 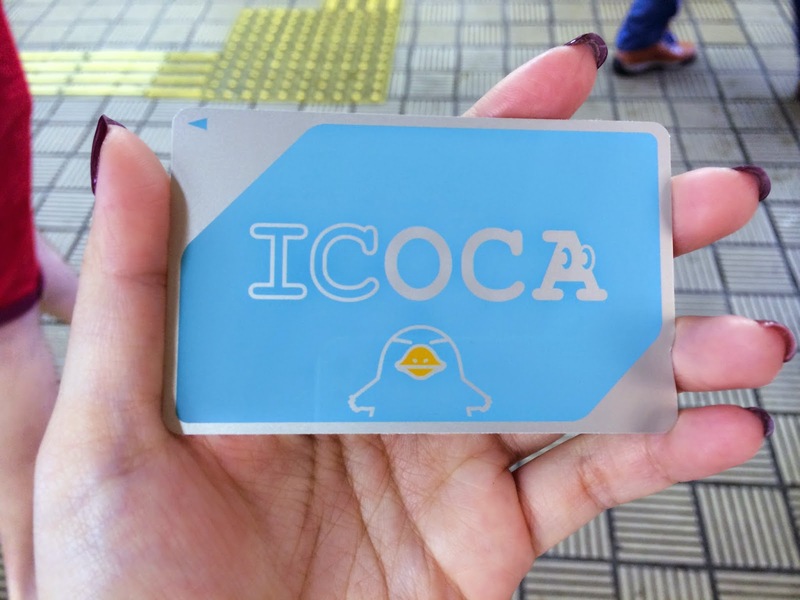 The only place you can’t use it is Kyoto buses, it is the last mass transportation service that hasn’t adopted IC cards. You can recharge cards at most ticketing machines, or the fare adjustment machine inside gates. 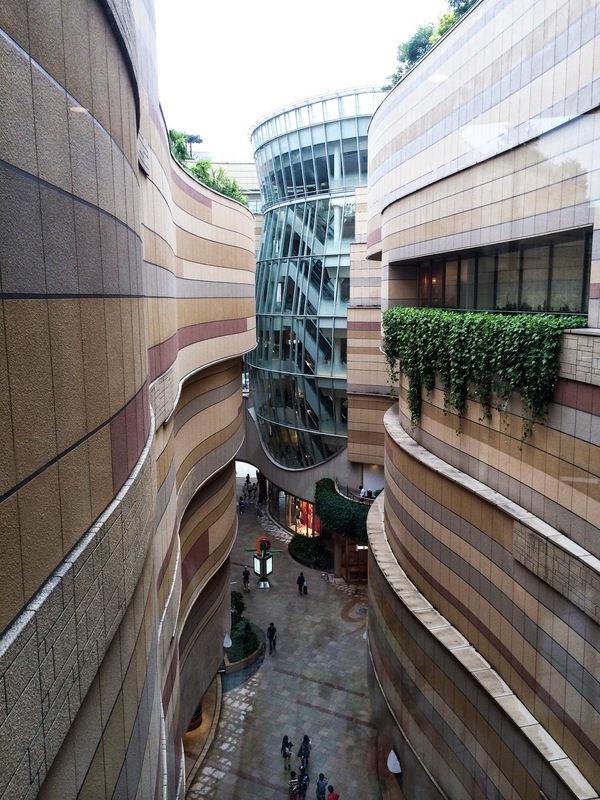 Our first stop is the Grand Front Osaka; it is a new massive mall on top of Osaka’s main train station – Umeda. Grand Front is like a usual department store where items are pricier, so we only had breakfast and then proceeded to Hep5 afterwards. Hep5 is a young and trendy mall where teenagers and young adults hang out. 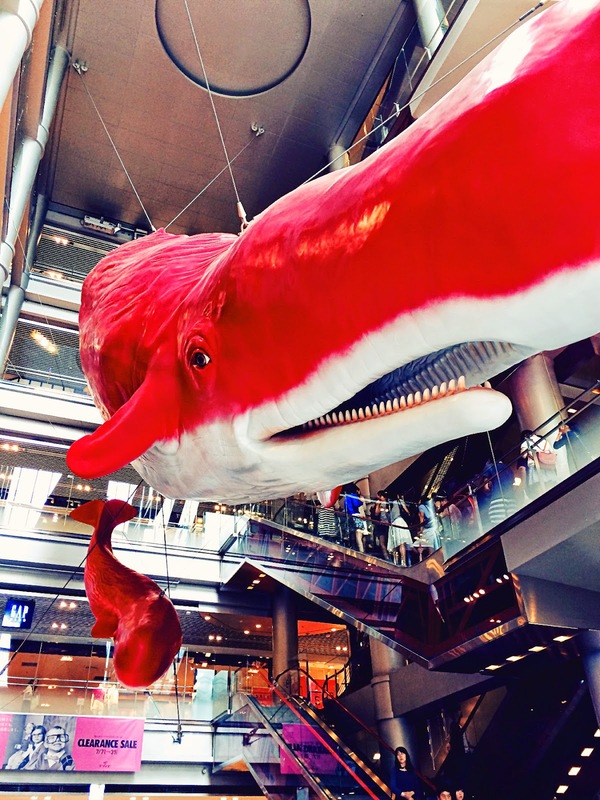 Its signature is it’s red Ferris wheel and 2 gigantic whales hung from the ceiling of the entrance. Shopping is from B1/F – 7/F. 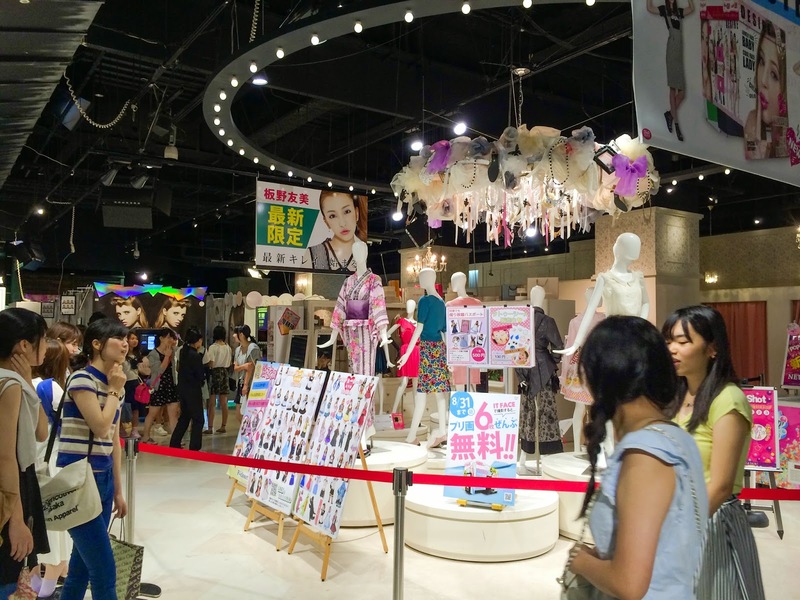 It’s mainly women’s clothing/accessories around the price of ¥2,000 - ¥3,000. The famous Cecil McBee featured in most Japanese magazines also has a store there. 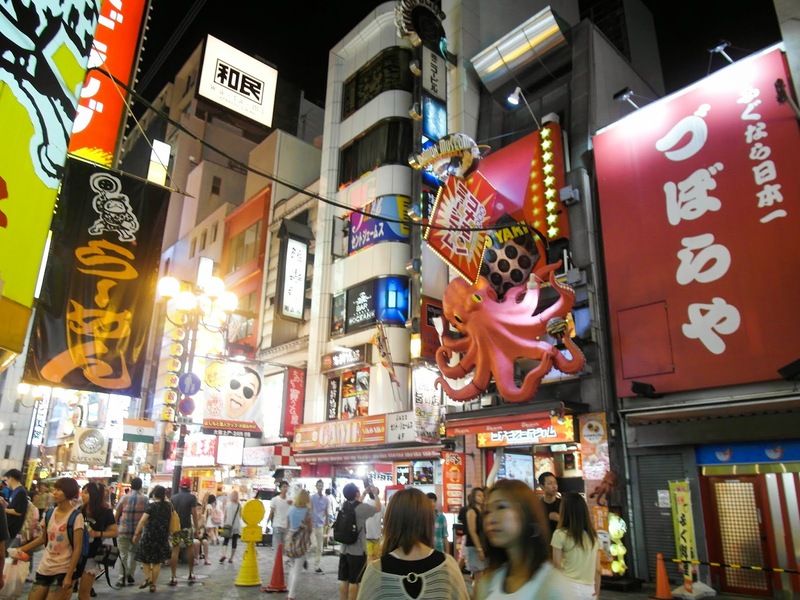 8/F – 9/F is an arcade gaming center called Joypolis. There are fighting games, shooting games, rythem games, plush machines, and many many sticker photo machines. 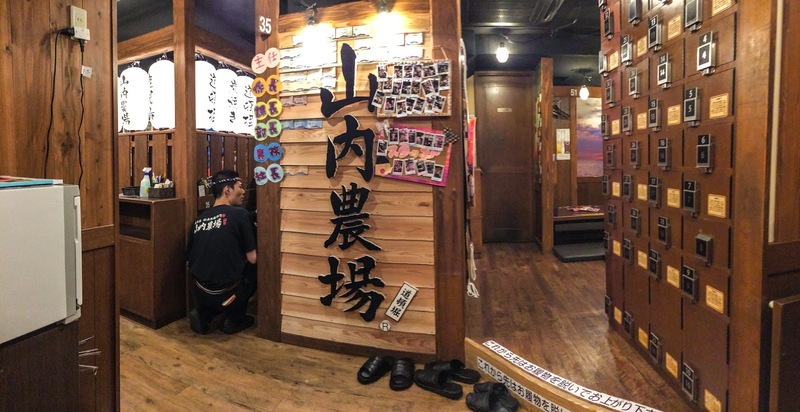 You can even rent cute outfits, like cat, maid, or school girl outfits for taking sticker photos (Purikura). This is the 9/F Sticker Photo area. Guys cannot enter this zone alone, but couples are ok! We had the most fun playing Mario Cart, basketball, and this crazy air hockey game. The games here are around ¥100 - ¥200 per game. 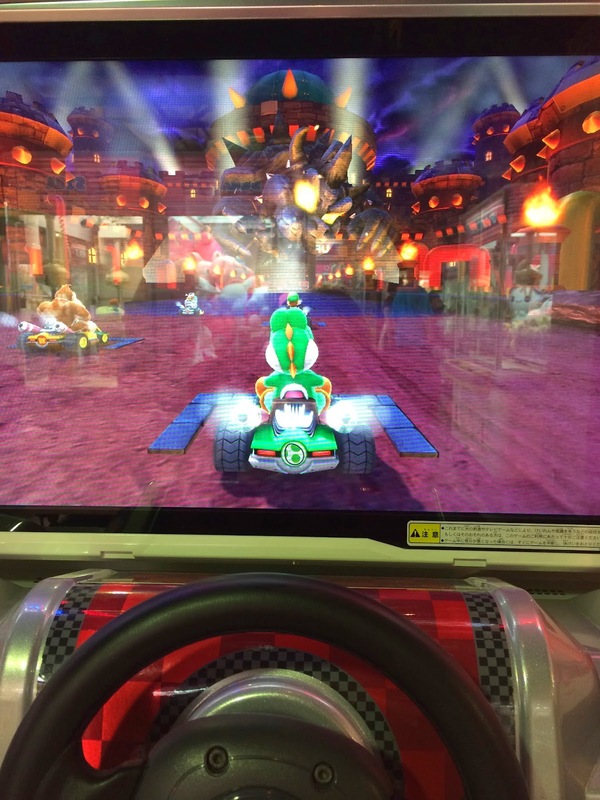 For racing games, you can challenge in store players or other players in the Osaka city area. After Hep5, we went to Namba Parks. It’s a park famous for it’s canyon like outlook. Most of the stores are lifestyle type of stores so it’s very family oriented. I mainly wanted to try Nana’s green tea on the 5/F. 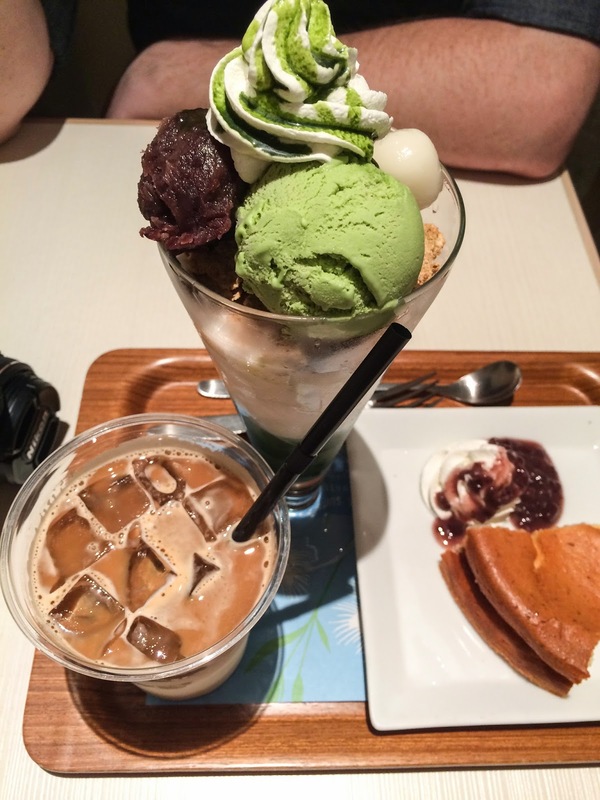 They serve green tea drinks/desserts ranging between ¥500 - ¥800, and it is super tasty. 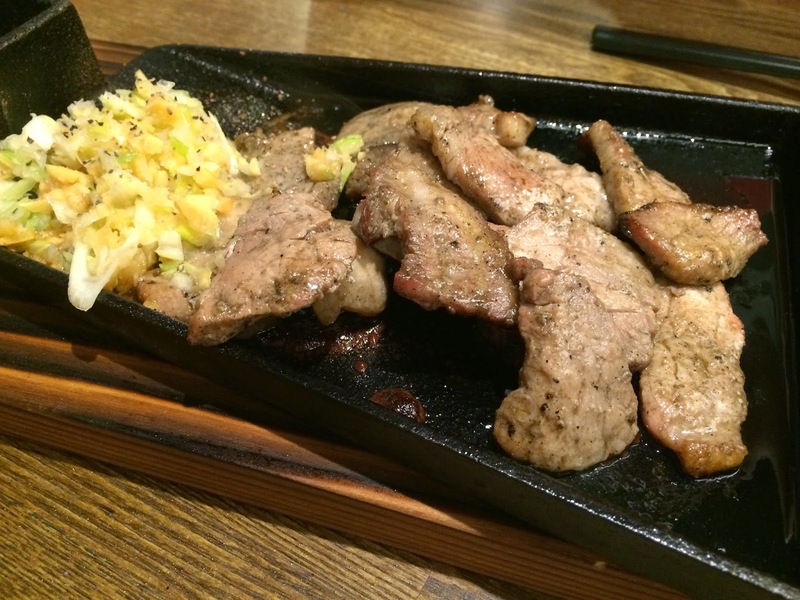 We went to the Japanese grill in Dotonburi are again for dinner. It’s called 山內農場(Yamauchi Noujou?). It’s on the 2/F in the building right across from the big Forever 21. 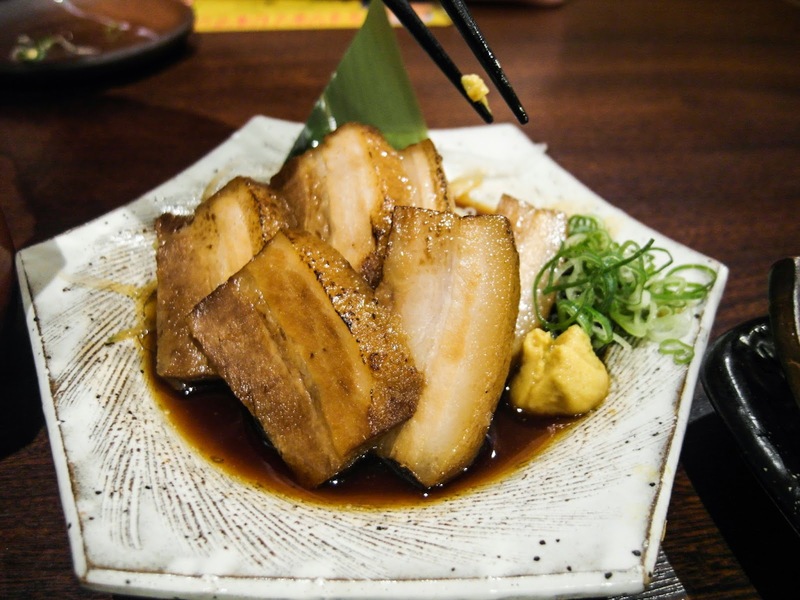 The best dishes they serve are the fried chicken, sizzling pork belly, and grilled beef. It’s only opened at night from 5pm – 12am. 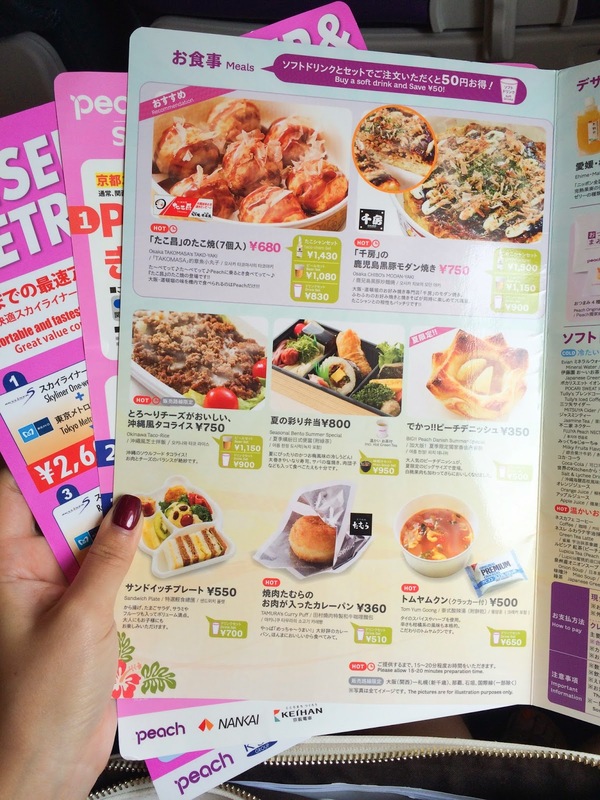 The menu has pictures on it, so don't worry about language barrier! 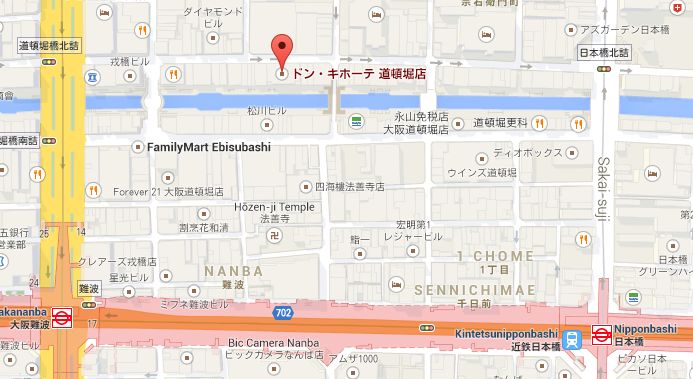 I also went to Matsumoto Kiyoshi, which is a famous cosmetics & drug store near the bridge. 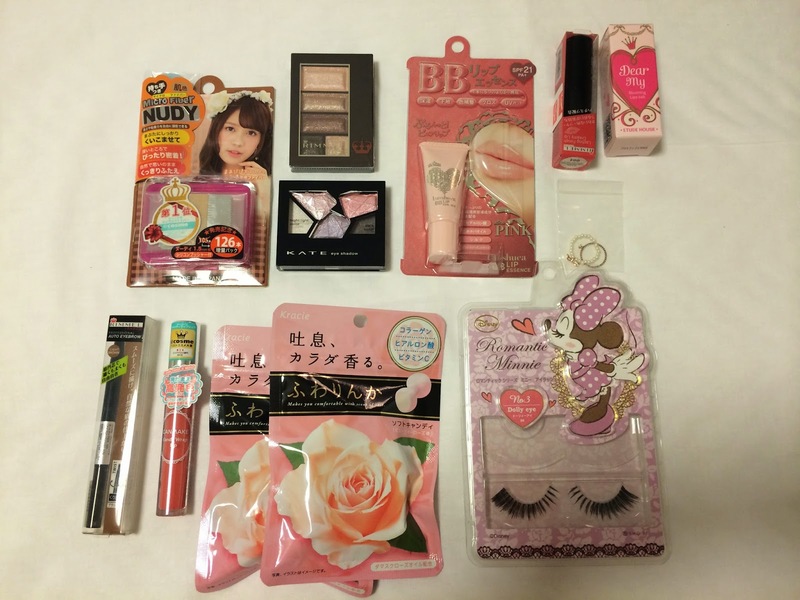 I bought a lot of make up there from Canmake, Kate, and Rimmel (can’t get Rimmel in Hong Kong!!). And I also got tons of back pain stickies. Japanese ones are super effective. 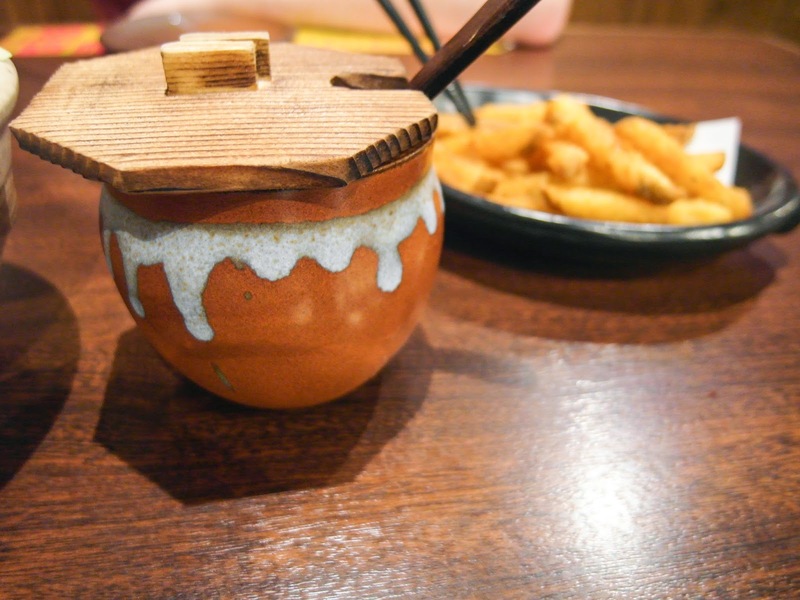 It was around ¥3,000 for 35 pieces. That's it for day 1 & 2! To watch the full YouTube Vlog, please click here!